As a next step to the prototype 88 XJ40 V8 conversion that I did back in 2004/2005, I decided to try a conversion on a later model XJ40, something in the 90-92 series. Unfortunately, after much searching, I wasn’t able to find a suitable car to start with- everything I looked at was either too expensive (to be ripped into as a project), or too far gone (bad paint and interior as well as mechanical trouble) to consider starting with. However, late last fall, I suddenly came upon a 94 XJ12 that had a blown engine. This was actually a low mileage (66k original) car and was just too expensive to repair. Although I had hoped to start with an XJ6 (as they are more common and thus would be more likely to be what my customers would be converting), this XJ12 is very similar to the XJ6. 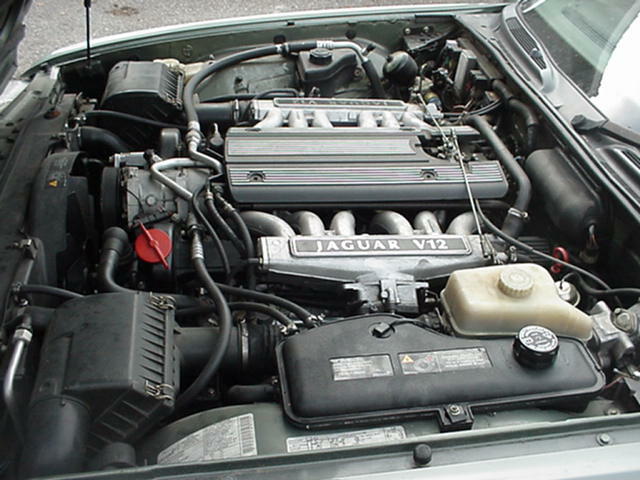 The 94 XJ12’s were a one year model (officially dubbed XJ81) designed on the same chassis as the 93-94 XJ6 (XJ40 style) sedans, but with the utmost in luxury and amenities as Jaguar’s top model in the US. 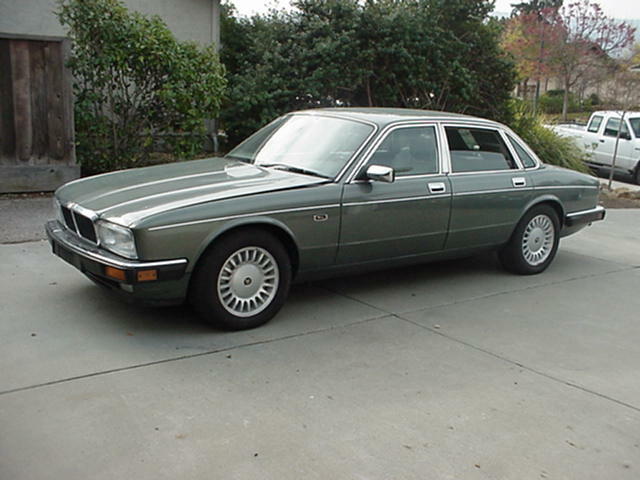 And aside from the engine/trans and the front springs, from a mechanical standpoint they are identical to the XJ6 models. This particular car had been in my area since new and served a local real estate agent well until its engine died. Other than the engine, the car was in fine shape, and had extensive dealer service and repair records (big $$$). For me, this was a perfect starting point. Anyway, the first order of business was to collect whatever service manuals and other documentation could be found on the car and get to know it better. To say these later V12 cars were complex is an understatement. To run the drivetrain, there are no less than 3 ECU’s: one for the fuel injection, one for the for the ignition system (both under the dash), and a third unit (in the trunk) to control the (GM 4L80E) transmission . All of these units will be removed with the engine and trans as the conversion progresses. 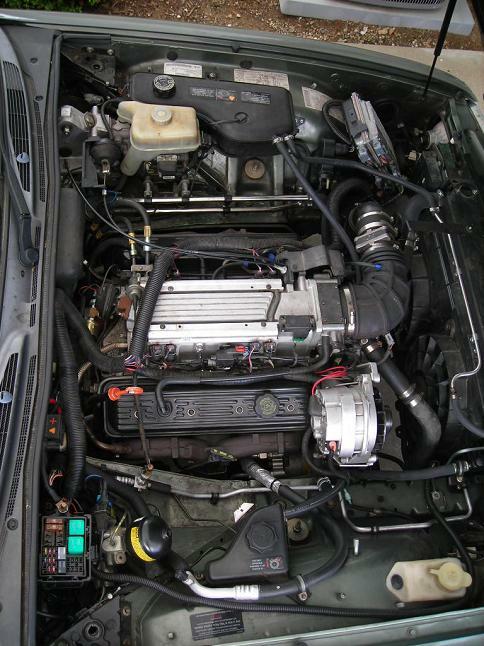 The plan for this car is to use a 95 Camaro LT1 engine and 4L60E trans, and a factory 94/95 Caprice LT1 wiring harness and computer. This should make for an interesting combination, as the LT1 makes approximately the same HP as the original 6.0L V12, but the conversion will yield a 350lb or so weight savings. Additionally, the LT1 makes the majority of its torque down low, while the V12 was more of a high revver. One nice additional touch is that this car is equipped with a 3.54 posi differential, which should make acceleration brisk, to say the least. Because this will be a California legal conversion, all emissions controls will be in place and function, and the car will need to pass the California State Emissions Referee tests before it can be re-licensed. Attached are a few photos of the car itself and the original V12 drivetain (it really filled up the engine compartment). And just to give you a taste of where this is all going, the last photo shows the LT1 installation 100% completed with the engine/trans mounted, the Caprice wiring installed, full cooling system installed and functional, AC hardware, and even the factory Jag cruise control (please note the factory Caprice fuse/relay panel at the bottom left, LT1 PCM at the top right, and Jag cruise control actuator at top left). As you can see, there is plenty of room for everything. The car had about 3000 miles on the conversion when this photo was taken, and runs/drives great. Everything works, the car runs cool, the AC is frigid (the coldest Jag AC I've ever experienced), and the factory cruise control keeps me humming down the freeway effortlessly. It easily passed California's emissions control testing and is fully legal. This conversion turned out very nicely, and I'm very happy with it. 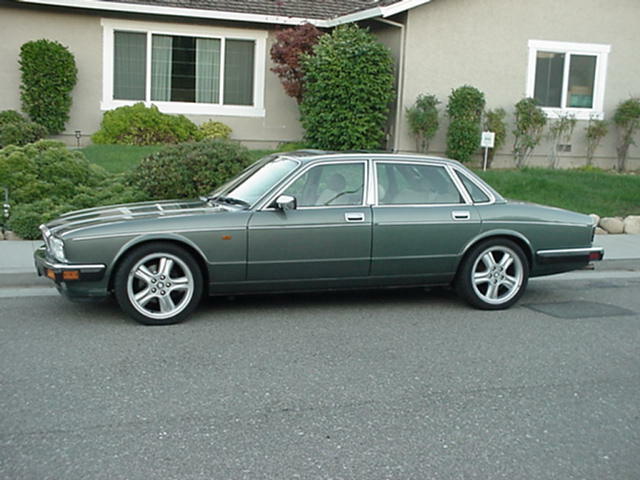 And here's how it looked after a few styling updates-18" XJR wheels, Euro side markers, etc.,.